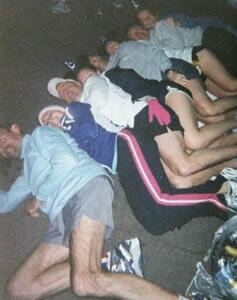 Our team of Goofy Rebels included Screech, Loco, Nessie, Party Girl, Shaggy and Tuckin. Megaphone joined us for the Full marathon and Jordan, Sit Down and Johnny Coco joined us for the Half. I can't even begin to tell you how much fun this weekend was.... you all have to run the Disney marathon (slowly) and soak in the atmosphere. It was really awesome! We took loads of photos, on and off the course. This has been my favorite run by far. The only bad thing..... getting up so FREAKIN' early. - yes, it was FUN, FUN, and MORE FUN! Absolutely have to put this on your list to do - and a must w/ friends (the more the better!) and multiple cameras!!!! It was absolutely the MOST fun I've ever had :-) We laughed, danced (! 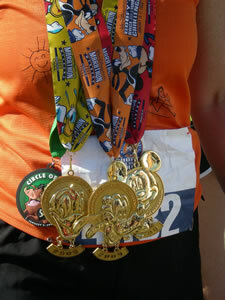 ), took TONS of pics, ate McDonald's apple pie (mile 19!! 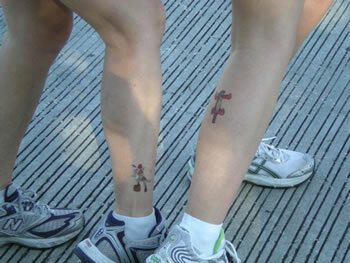 ), chowed on HERSHEY CHOCOLATES (mile 23 !!!!) 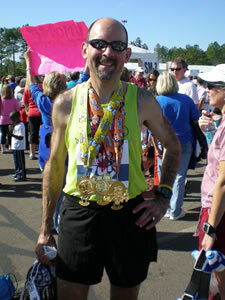 - oh, that was SOO GREAT - and can't even begin to tell you all the disney characters that came out for the marathoners!! some lines to get our pics w/ them were longer than others but they were ALL worth waiting for! 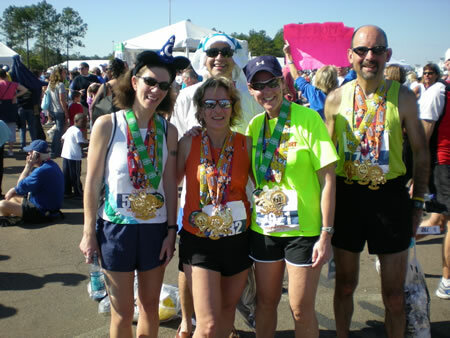 There were more characters out for the marathoners to get their pics w/ than in the parks for the tourists themselves!! so kul - animals from the animal kindgom were on hand as well - we have pics to go along w/ all this - i swear!! 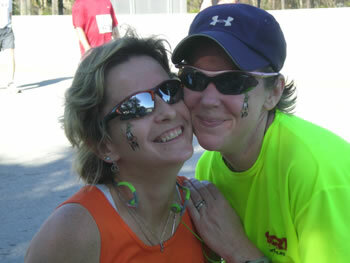 The 5K and 1/2 were just as fun too! all 3 races had fireworks to start!! There's a DisneyRunning website that lists combined half/full times sorted in order. However, it doesn't break it down any more. I copied the data from there and came up with age group categories. Party Girl was 28th over all in the combined Goofy times (based on chip time). 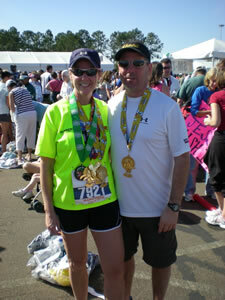 She was the 5th woman and 2nd in the 25-29 age group. PG ran a 1:28 half and 3:20 full. Top Goofy man (Mackey Tyndall) and woman (Jacqui Kapinowski) were in wheelchairs... 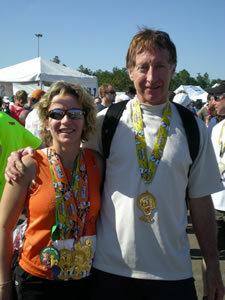 Youngest Goofy runners (male & female) were 18. Oldest Goofy woman was 76 and oldest guy was 80.